Agenda for the Future was a one-day event hosted by London Futurists at Birkbeck College on Saturday 2nd September. Registration took place via the meetup page for the event. Videos of the talks have been added inline below. Unless we urgently change our culture, we risk collectively rushing towards a future which will turn out to be hostile to humanity. Can we identify and agree a better Agenda for the Future? Speakers at this event gave their opinions on topics such as the transformation of politics, the challenge of artificial intelligence, the reform of capitalism, the increased importance of business ethics, a new approach to money, the risks to the environment, a simpler form of taxation, the benefits and risks of immigration, manipulation of the mass media, and changes in healthcare. The speakers have in common the view that better solutions are at hand, provided we act with sufficient foresight. The aim of the event was to stimulate informed debate on the demands of the future. The event was introduced and chaired by David Wood, Chair of London Futurists and Executive Director of Transpolitica. – Vicky Pryce: Can we Trust Economists? 17.00: Room empty. Optional continuation of discussion in nearby pub. We were in the Clore Management Centre, room B01 (on the basement level), Birkbeck College, Torrington Square WC1E 7HX, London. The Clore Management Centre is on the opposite site of Torrington Square from the main Birkbeck College building. 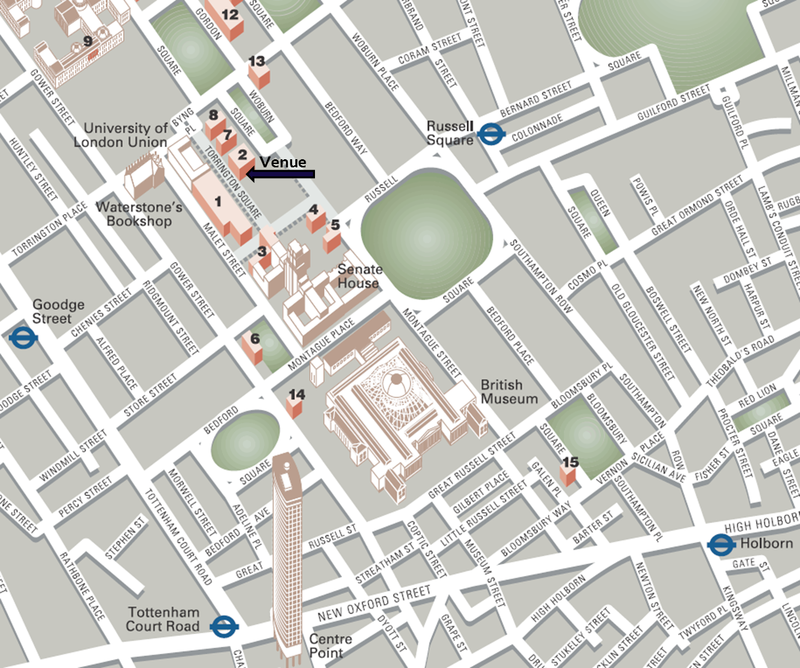 Torrington Square (which is a pedestrian-only square) is about 10 minutes walk from either Russell Square or Goodge St tube stations. See this map. Note that lunch is not supplied. This Google Map lists selected restaurants and coffee shops that are within around 10 minutes walk from the conference venue – providing a wide choice of options for lunch. Tickets for the full-day event were priced at £18, to cover room hire, refreshments, and IT and AV expenses. Since there were still spaces in the room, people who didn’t register in advance could obtain a ticket for £20 on the door. Registration for this event used this meetup page. Journalists who could point to an established track record of publications about technology and/or futurism in major media outlets (e.g. Wired, BBC, New Scientist) were invited to contact the organisers to obtain a press pass. Derek Bates is Consulting Scientist and Director, Materials Technology Ltd.
Derek is a distinguished materials scientist, business man and author. In his recent book ‘Shadows in the Wall’ he outlined the past corruption of church and state, and juxtaposed this with pitfalls of modern democracy. Included in the appendix is also an overview of alternative democracy and tax simplification. Tom Levitt is a writer and consultant on responsible business, a field he has worked in since leaving Parliament in 2010 after 13 years as a Labour MP. In the Commons Tom specialised on communities, charities and international development and he recently helped to found the anti-poverty charity and social enterprise Fair for You. He has held several positions as charity trustee/chair and company director. His current book is ‘Welcome to GoodCo: Using the Tools of Business to Create Public Good’ and his forthcoming work is ‘The Company Citizen: Why Business Doing Good is Doing Good Business’. As a consultant his clients have included major businesses, think tanks and charities and he has carried out ground-breaking research on the role of SMEs in the community. Previously a science teacher in secondary schools and a County Councillor, Tom now lives in West London. The Play Ethic (www.theplayethic.com) is also a creativity/innovation consultancy that has worked with organisations like Lego, BT, BBH, Nokia, Dentsu Aegis, the UK Cabinet Office and the UK, Scottish, Australian, South Korean and Mexican Governments, among many others. Pat keynotes globally on the power of play, creativity and innovation, in the last few years presenting in New York, Washington DC, Billund, London, Mexico City, Istanbul, Dubrovnik, Budapest, Mexico City and Seoul. He has worked with educators, play workers and social workers across the world, helping them build their play capacities to help families and communities become stronger and more adaptive. Pat was the founding curator, and currently co-curates, Nesta’s FutureFest event (www.futurefest.org/play). He is still one half of the 80s pop duo Hue And Cry. Topic: Can we Trust Economists? Vicky Pryce is former Joint Head of the United Kingdom’s Government Economic Service. Vicky Pryce’s recent positions have included: Senior Managing Director at FTI Consulting; Director General for Economics at the Department for Business, Innovation and Skills (BIS); and Joint Head of the UK Government Economics Service where she was responsible for evidence based policy and for encouraging measures that promoted greater productivity in the UK economy. She had previously been Partner and Chief Economist at KPMG and earlier held chief economist positions in banking and the oil sector. Vicky co-founded GoodCorporation, a company set up to promote corporate social responsibility. She is patron of ‘Pro-bono Economics’ and has served as Master of one of the City of London’s Livery Companies. She sits on the Department for Business Innovation and Skills’ panel monitoring the economy and is on City AM’s Shadow Monetary Policy Committee. Books written or edited by Vicky include It’s the economy, Stupid! Economics for voters, Redesigning Manufacturing: Reimagining the Business of Making in the UK, and Greekonomics. Rohit Talwar is the founder and CEO of Fast Future Publishing. He advises clients around the world on the forces shaping the landscape, emerging scenarios and how to experiment towards preferred futures. He is the co-editor of The Future of Business, and forthcoming books on The Future of AI in Business, Scenarios for the Next 50 Years, and A Very Human Future. He has also recently been taken off Interpol’s most wanted list after discovering that he had spent 15 years leading a double life as a drug dealer in Brazil as a result of identity theft. In his presentation at Agenda for the Future, Rohit will outline four critical choice points for how we navigate “the second storm of change” over the next few years to ensure we create lives people love, workplaces we want, systems that serve and a planet with purpose. A lot of energy is being devoted to immediate and near term disruption and to thinking about the 10-year plus horizon. Less attention is being paid to the potentially chaotic middle ground of the next 3-10 years as the world catches up with today’s choices and starts to prepare the path for radically different futures. How can we navigate what Steven Houghton-Burnett describes as the “messy middle ground” between the current wave of disruption and possible long term futures – shaped in part by exponential and combinatorial advances in science and technology? Dean Bubley is founder of Disruptive Analysis, an independent technology industry analyst and consulting firm. Often, futurists assert that they don’t make forecasts, but instead create scenarios, bringing alive the possibilities enabled by new technologies and social change. Yet while it’s perhaps not realistic to make concrete predictions, it is sometimes possible to work out what’s simply not possible, for example because of awkward laws of physics, mutually-incompatible trends, poor economics or human nature. By restricting the ‘possibility space’ to the probable and reasonably-conceivable, we can avoid unnecessary and distracting flights-of-fancy and make smarter policy decisions and investments. Tim Pendry is Director of Research at Internationalist Future and a Director of PendryWhite. Tim’s three decades of experience cover all aspects of issues and crisis management, including support for the positioning of technology companies in their relationship to the market, the media and the wider community through PendryWhite. Internationalist Future, supported by PendryWhite, is a new start up think tank in development that intends to explore the effects of technological change on international relations and politics. Stephen Herring is Head of Taxation at the Institute of Directors (IoD). Stephen graduated from Manchester University with an honours degree in Economics & Politics. He is a member of both the Institute of Chartered Accountants and the Chartered Institute of Taxation. Stephen has specialised in taxation for over thirty years and, before joining the IoD in September 2013, was a partner in three global accounting firms (Grant Thornton, Ernst & Young and BDO) for a total of twenty eight years. He was appointed by the Exchequer Secretary as one of the eight independent members of HM Treasury’s Tax Professionals Forum. He often speaks on taxation and related matters at conferences and he regularly appears in both the national and tax technical press and on the broadcast media. He is a strong supporter of tax simplification and reduced tax rates for both businesses and individuals and believes that it is imperative that the misconceptions about tax planning which are regularly asserted by anti-business lobbyists are aggressively refuted. Indra Adnan MSc HGIDip is Co-initiator, The Alternative UK. For over twenty years, Indra has been writing, consulting, network-building and event-organising in the international arena of soft power, conflict transformation and integral leadership. As founder and Director of the Soft Power Network, she works in both the public and private sphere advising on personal, local and global agency. Recently qualified as a psycho-social therapist, Indra is also a partner in New Integrity management consultancy, founder / Director of The Downing Street Project for balanced leadership, and a freelance project director for Compass think tank. Her clients have held senior posts at the World Economic Forum, Indian government, the British Council, the Scottish Executive and the Institute of Contemporary Arts. She writes regularly for The Guardian and The Huffington Post and her e-books Soft Power Agenda and New Times are available on http://www.indraadnan.com. The daughter of an Indonesian Muslim father and a Dutch Catholic mother, Indra is now a Buddhist living in North London with her partner and teenage son. Indra has been writing consistently about soft power, public diplomacy and the power of attraction and relationship in international relations for over a decade, in major UK and US publications. Alvin Carpio is Founder & Chief Executive, The Fourth Group. Alvin is an anti-poverty activist who has spent the last decade campaigning on issues of social justice. In 2016 he was granted an Singularity University Impact Fellowship to develop technologies to improve global governance. He subsequently founded The Fourth Group, a global community that studies and builds emerging technology that will influence politics in the future. We used the online tool Glisser. See this blogpost for more details. The event was be followed by a chance to continue the discussion in a nearby pub – The Marlborough Arms, 36 Torrington Place, London WC1E 7HJ. The room at the back of the Marlborough Arms was reserved for London Futurists from 5:30pm onwards.